Mitzvah Kotel – Thank you for visiting the Mitzvah Kotel Project. These are sculptures of the positive mitzvot from the Torah. They are the tools G-d gave us not only to survive, but to THRIVE. Click on any image for a description. Click on the image in the description box to magnify. On permanent exhibit at Amud Aish Holocause Memorial Museum, Brooklyn, N.Y. Please visit whitespacestudio.us for additional works. Thank you for visiting the Mitzvah Kotel Project. 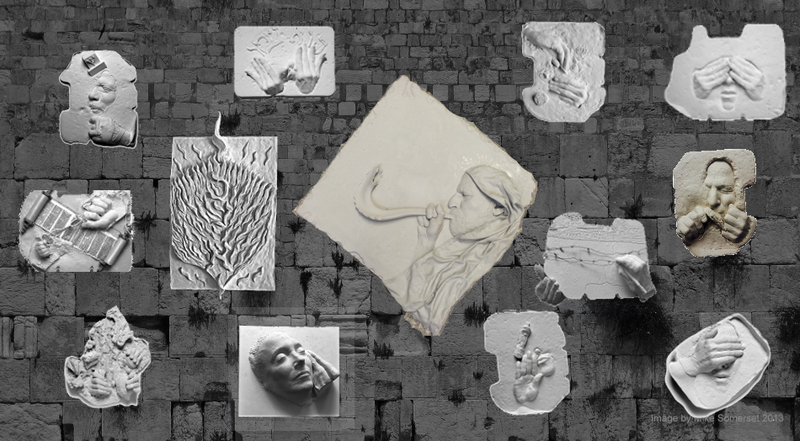 These are sculptures of the positive mitzvot from the Torah. They are the tools G-d gave us not only to survive, but to THRIVE. Click on any image for a description. Click on the image in the description box to magnify. On permanent exhibit at Amud Aish Holocause Memorial Museum, Brooklyn, N.Y. Please visit whitespacestudio.us for additional works. Thank you for visiting the Mitzvah Kotel Project. These are sculptures of the positive mitzvot from the Torah. They are the tools G-d gave us not only to survive, but to thrive. Click on any image for a description, and click on the image in the description box to magnify it.